Surface of Venus. Venus towards the Maat Mons shield volcano (top centre) on the horizon. 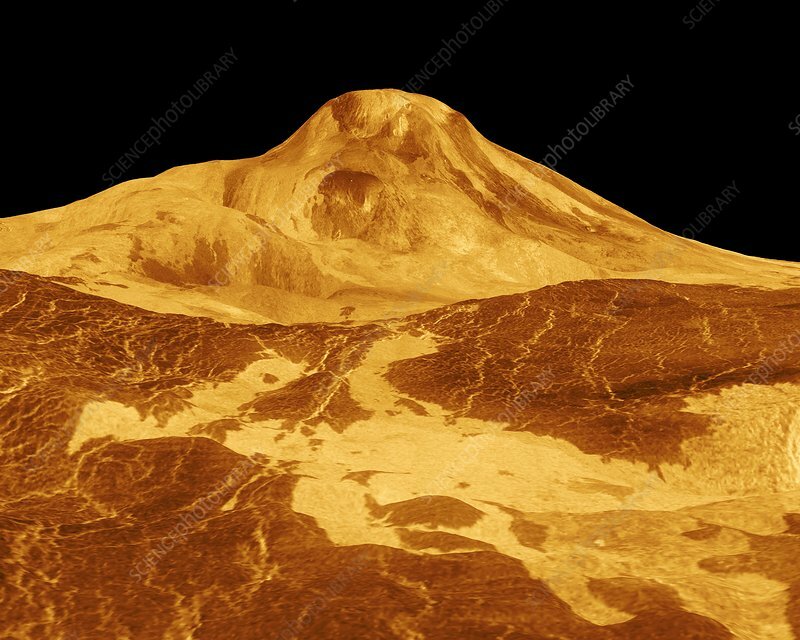 Reaching an altitude of 8 kilometres, Maat Mons is the second-highest mountain and the highest volcano on the surface of Venus. Image composed of synthetic aperture radar data obtained by the Magellan spacecraft, combined with radar altimetry and ray tracing to simulate a perspective view.